Zambia is an African country nestled in the center of Southern Africa. It a beautiful and peaceful place for all visitors, yet there are many unfortunate myths that surround this area and other countries of Africa. Continue reading to learn the truth behind these myths. Myth #1: There is a lot of crime. Many travelers look at all of Africa as a dangerous continent filled with crime. This is a common misconception, but many South African countries are considered very safe for locals and tourists alike. Many thefts and non-violent crimes are usually opportunistic—such as being robbed on a street in the middle of the night—but there are very few violent and dangerous crimes that occur in Zambia. Myth #2: There are many diseases. Similar to the public perception of crime, travelers often consider Africa as a hub for diseases and dangerous viruses. There is very little risk of contracting any sort of disease when traveling through Eastern and Southern Africa. However, travelers are often advised to take anti-malarial drugs and be smart about interacting with strangers. Myth #3: There are only expensive safaris. African safaris are the cornerstone to adventurous stories in the plains of Southern Africa, but many budgeting travelers assume that safaris are only for the wealthy. However, safaris are a common part of African tourism, which makes it necessary for all-inclusive trips and budget-friendly travel planners to include them on itineraries. Myth #4: There are sub par hotels. Every destination in the world will have sub par accommodations, but it does not mean that the destination should be defined by these unfortunate few. Africa has five-star hotels, all-inclusive resorts, and well-kept accommodations for the wealthy and budgeting travelers alike. 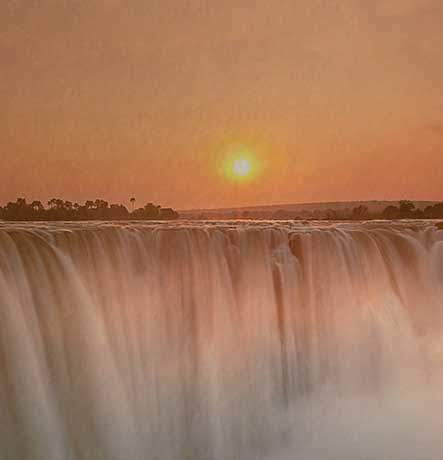 Learn more about Zambia and the other countries of Southern Africa with the help of DSA Vacations. We create fun-filled and memorable packages for all of our travelers to experience the wonders of Southern Africa. Please call us at 1-800-203-6724 to inquire further.